Looking for information on our website? Use our Sitemap for Household Management 101 to find it fast! You can also search the site below, in the search box, which will bring you the results of all pages with that topic at Household Management 101. Household Management 101 Homepage A course in the how to's and why's of household management, so everyone in your family, including you, can both function and thrive in these busy and hurried times. Getting Started Are you overwhelmed with a messy house and cranky kids? If you're looking for the best way to get organized and become an effective household manager this is the place to start. Schedules, Routines And Habits For Your Home Schedules, routines and habits are the backbone of household management. Learn how to create and maintain these in your home. Household Notebook See the typical contents of a household notebook, and how use of these tools can help you enjoy your home and family more. Tell Us, Have You Ever Needed To Use Your Household Inventory, and Why? House Cleaning Tips And Household Hints Learn house cleaning tips and other tricks to get your house clean. Learn to get it done and have more fun. Tell Us What's Your Family's Weekly House Cleaning Schedule? How To Clean Things Around The House Need to know how to clean things around your home? Check out this list of various household items and find out what you need to know. How To Clean Your House - What Order Should You Clean In? Homemade Cleaners - Recipes And Instructions Comprehensive list of recipes for homemade cleaners and homemade cleaning products. Laundry Tips For Families Families, especially children, create lots of dirty laundry. Learn laundry tips and techniques to conquer the laundry pile. Tide Laundry Detergent - Does It Work Or Not? Tell Us, What Is Your Family's Favorite Laundry Supply And Why? School And Homework Creating a home where children love learning is one of the many things possible with good home management techniques. Learn how here. Share Tips And Ideas Want to see some great home management tips submitted by people just like you? Click here to read some, and share one of your own. Please note there are other more specific invitations for you to share your tips and ideas scattered throughout the website. Ask Home Management Questions Do you have home management questions or problems that you can't seem to solve? Check in with Household Management 101 for some advice and ideas. How To Videos Sometimes we need to see things to learn how to do them. Check out these how to videos for around the house. This section includes cleaning, laundry, organizational and other videos, relating to all the categories covered by Household Management 101, a full of which can be seen by clicking the link above. Resources For Your Household Notebook - Checklists And Printables Need resources for your household notebook? Here is a list of printables and checklists that can help your household thrive. This section includes cleaning checklists, a full list of which can be seen by clicking the link above. Diaper Bag Checklist - Don't Leave Home Without It! Helpful Links For Home Managers No one site can give us all the answers and ideas we need. See my favorite links to help everyone become a better home manager. 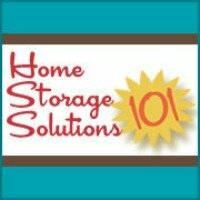 Household Management 101 Blog The Household Management 101 Blog keeps you up-to-date with all additions and changes to the Household Management 101 web site. Subscribe To The Household Manager Newsletter The Household Manager Newsletter tells you each month about the new information that I have added to the site. Contact Me Contact Household Management 101 with questions, thoughts, or suggestions. About Me About Taylor, the author of Household-Management-101.com, and my philosophy of household management. I hope this sitemap has helped you! Please enjoy the site.